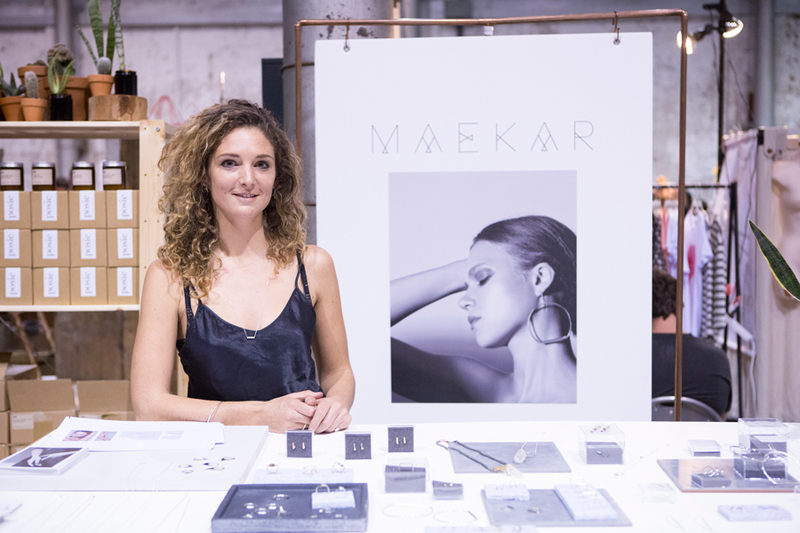 Inspired by architectural and ornamental forms across cultures, MAEKAR creates elegant wearable pieces that are also beautiful objects in their own right. Today, we chat with the lovely Sarah as she prepares for her stall at our Sydney market next week. Growing up I was always fascinated by my Grandma’s impeccable style, particularly her jewellery. She always looked amazing. With her creative flare carried down the gene line it was inevitable a creative field was destined for me. I studied and worked in the interior design field but there was always something pulling me towards jewellery making. So after some time “off” travelling, I took the plunge and now after six years of combined work and study in the industry, MAEKAR was born. You debuted at FK in 2015 and have gone on to have several beautiful stalls with us across the country. What would be one piece of advice you would give a first-time seller at The Finders Keepers? Being a part of Finders Keepers is such a wonderful opportunity to gain exposure and build your business, connect with other small creative business owners and is a fantastic confidence booster. Remember, what you put in, you get out. Take the time to prepare and most importantly ENJOY! It is a great weekend, full of opportunity. I’m really looking forward to developing smaller capsule collections which can be released more frequently. Gemstones are a big love of mine, after the upcoming crazy season I can’t wait to start working on ideas I’ve had simmering away for quite some time! This is an area I’m passionate about refining and developing into a signature. Oh and there is a couple of fun collaborations in the making, which will be great to see come to life. Naming one! That’s a bit tricky! But if I had to name one, it would be the wonderful Melbourne jewellery industry. 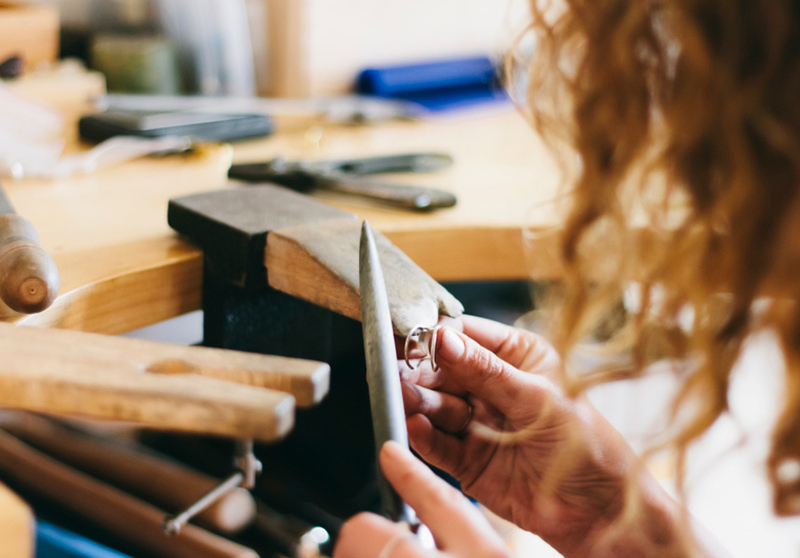 It is a pretty small industry, a world of its own, but a supportive one and easy to immerse yourself into.I think it’s a fair call, that Melbourne has one of the world’s most progressive and diverse jewellery industries. My all time favourite has to be the ‘Swing’ ring and bangle. They are basic, everyday pieces but are unique and refined at the same time. I feel it captures perfectly what I strive for MAEKAR to be, refined and restrained basics. I also LOVE the UNIFORM XIII statement disc single earring from the latest collection, it makes the perfect addition for the festive season!